This economic question is also related to the mathematical field of "Optimal Transport". A number of problems from science and society require solving optimal transport problems, be it in mathematical physics or in various disciplines related to artificial intelligence. However, until recently, extreme computational costs associated with algorithms used to tackle such problems drastically limited their applicability, even on powerful computers. 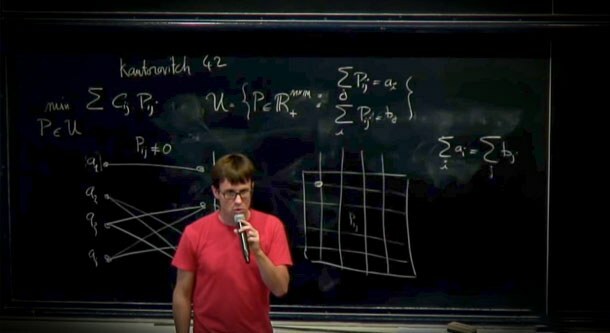 In his talk "Optimal Transport for Machine Learning" on February 12th, famous French mathematician Gabriel Peyré will present and discuss recent progresses on the topic and their use in fields such as image processing, computer vision, computer graphics, and more.